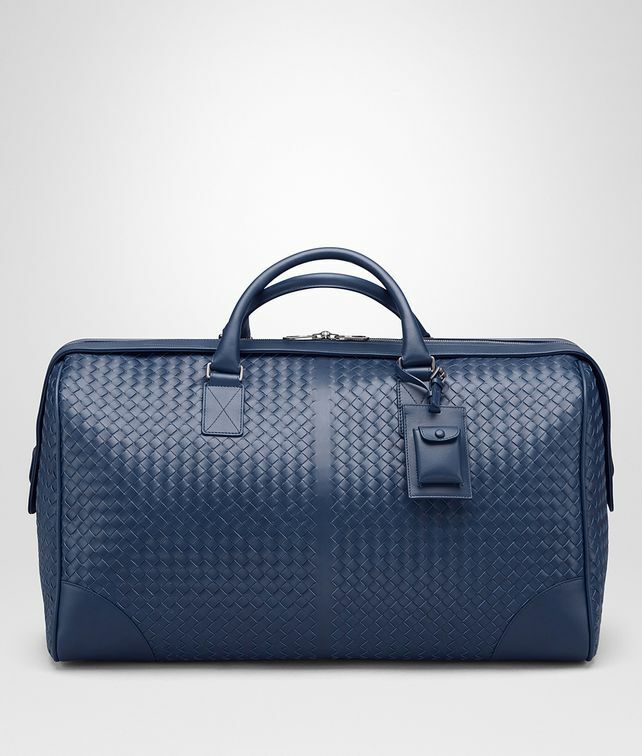 Flawlessly constructed in signature intrecciato VN leather, this elegant duffel bag has been specifically designed for exceptional endurance and resistance to wear and tear. Showcasing a luxurious combination of sheer and woven panels, this functional and roomy piece comes with pure leather handles, a detachable, canvas shoulder strap, two internal pockets, a functional lock, a stylish, leather key holder and brunito-finish accents. Height: 32 cm | 12.6"
Width: 55 cm | 21.6"
Handle drop: 18 cm | 5.9"
Strap length: 140 cm | 55.1"